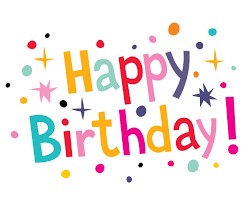 The month's Eagle is in honor of Elaine Hessil's birthday on October 4th from her family! Last night as I was doing some church work at home on the computer, I had the television on waiting for the Monday night football game to start. After a few minutes I stopped working, found the TV remote and PUNCHED the mute button! I couldn’t take the constant political ads demonizing one candidate or the other from senator to dog catcher. Really, does your political opponent seriously want to see senior citizens starving, children being molested in school, or dogs running wild in the streets? Please, let’s sit down and take a few deep breaths. I’d like to say a few words about life after the election. What will we do after the election when one group of people is elated and another group disappointed? I am drawn to Jesus’ conversation with a lawyer in Luke 10:25-28. “Just then a lawyer stood up to test Jesus. ‘Teacher,’ he said, ‘what must I do to inherit eternal life?’ He said to him, ‘What is written in the law? What do you read there?’ He answered, ‘You shall love the Lord your God with all your heart, and with all your soul, and with all your strength, and with all your mind; and your neighbor as yourself.’ And he said to him, ‘You have given the right answer; do this, and you will live.’” I see the past several months of rich discussion and shouting accusations as a time when we have been preparing to test each other. Now, with the election still seven weeks away, we are about to discover if we can, on Wednesday morning November 7, live out the teaching of Jesus to focus on God and love one another. Let’s turn off our TV’s and other electronic devices that keep us in touch with the world and also allow those advertisements to infiltrate our worlds. Let’s sit in silence for a while and seek God’s will for us for the future. I believe that the Greatest Commandment is still the best word for us to carry in our hearts as we move into the coming years. There will be new issues which will become all-important. The political commentators will always have something to talk about, always have something that is “threatening the very fabric of society.” Instead of listening to them, find a time and place where you feel closest to God and journey through prayer, seeking God’s will so you can best love your neighbor. Finally, come to church November 11. We’ll take time to thank God for our veterans and their sacrifices and we’ll also pray for our elected leaders. The world we live in is occasionally a difficult place to be. We find our hearts, minds, and souls pulled in many directions, many of which are unhealthy for individuals and for the community. The church is the place to encounter the One who loves us and helps us to become whole people. We find that here, with other believers, Jesus is working to reconcile all people to God. This is a healthy place to be. Bible studies have officially begun! The fall schedule has The Wired Word offered at Ebenezer Tuesday mornings from 10:00 a.m. to 11:30 a.m., and at St. John Wednesday mornings from 10:00 a.m. to 11:30 a.m. The Wired Word is a study that looks at a recent event in the news and examines it from a faith point of view. Each week there is a new news event with suggested Bible verses which may help you see the news in a different light. An in-depth knowledge of the Bible is not needed. You don’t need to attend each class. Paper copies of The Wired Word will be available in the Narthex on Sunday morning. Confirmation class began September 19. Class is offered at Ebenezer Wednesdays 5:30 p.m. – 6:30 p.m., and at St. John Wednesdays 7:00 p.m. – 8:00 p.m. Students can attend at either church. This year we will be learning about the faith and the Older Testament. A new class is being offered beginning Thursday, October 4, 6:30 – 7:30 pm. at St. John. Half-Truths helps us look at some of the things we say about the Bible or say to people who are going through a tough time. Sometimes these words we offer aren’t in the Bible, yet we would swear they are in there somewhere. In fact, many of the things we think are in the Bible, but are not, still contain theological truths, hence the name Half-Truths. We’ll watch a short video and then talk about the video and the short weekly reading. This is a fun class where we get to share lots of opinions. The Women's Guild celebrated its 130-year anniversary in September! Throughout the years, the Women’s Guild has been involved in numerous activities including bake sales, ice cream socials, salad luncheons, pie baking, church cleaning, making quilts, putting together and delivering Christmas boxes to our shut-ins, playing bingo with the residents at local nursing homes, and serving funeral luncheons. The Women’s Guild has always taken the needs of the parsonage under their wing and considered them the responsibility of the women of the church also. Every woman in the congregation is automatically a member of the Guild and the men are always welcome to join in. The ladies meet on the 3rd Thursday of the month @ 1:00 p.m. at 7 Angels to enjoy a nice lunch and fellowship. 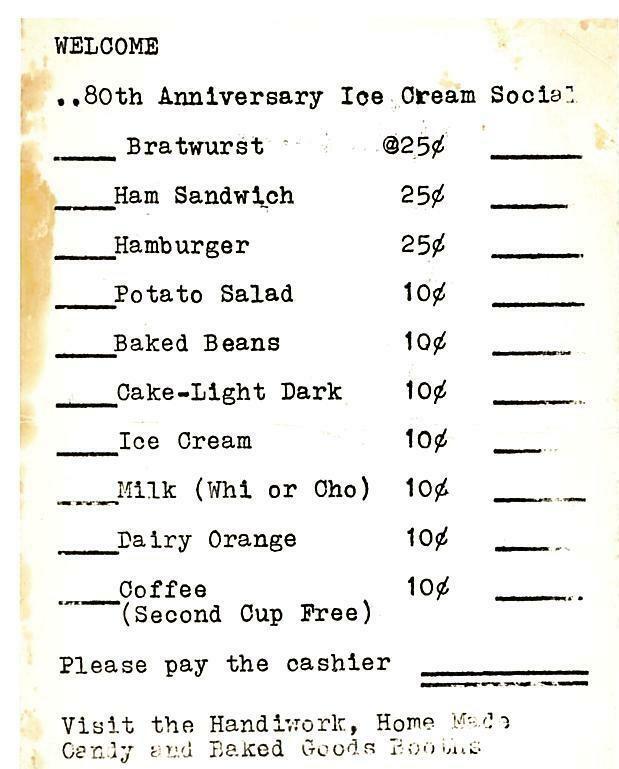 Enjoy this image of the prices from the Ice Cream Social when it celebrated its 80th anniversary! Thank you, again, to our committees who are hosting coffee hour each month! Below is the schedule; please note that this should be a light snack - 1, maybe 2 small snacks to enjoy after church. Each lesson is fun for the kids. We will be talkative, maybe sometimes loud, walking around the sanctuary, daring me to drink strange drinks, or rubbing mud on my eyes to heal my blindness. It’ll be FUN! 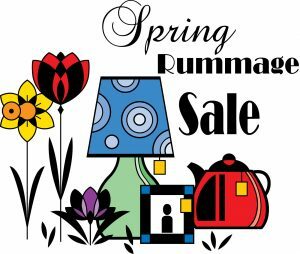 We will not be having a rummage sale this fall but one is planned for March 2019. There is limited space in the rummage room so if at all possible, please consider bringing your rummage items then. The annual Cookie/Candy Walk will be held on Saturday, December 8, in the Fellowship Hall from 9:00 a.m. to 12:00 p.m. We will be selling cookies, candy and new or gently used Christmas items that you no longer need/want. Drop off for cookies, candy or Christmas items will be on Thursday, December 6 from 5:00 - 7:00 p.m. or anytime that week during regular office hours: 10:00 a.m. - 3:00 p.m. Monday through Thursday. Find your favorite recipes and get together with family and friends to make holiday treats for a good cause! Sunday School got off to a great start on September 9 with our rally! The kids met their teachers, and Pastor Mike met with the confirmands and their parents. We are welcoming new faces to our 3 and 4-year-old class, which will be taught by Ann Gasch. Rounding out our teaching staff: Kristi Schnell, Tiffany Porsche, and Shirley Lisowe. Thanks also to Kelly Brown, Jamie Plate and Krysta Roehrig for agreeing to be our subs, as needed. Our Sunday class time will change to 8:00 a.m. this year with our worship service following at 8:45 a.m. We will continue with our Children's Worship Sunday every 2nd Sunday of the month. We encourage family worship this day as Pastor prepares a message especially geared toward the students. This year's mission project will be our own Blessing Box. Children are encouraged to bring an item for the box in lieu of cash offerings. Any cash donations received; however, will be gratefully accepted and the money will be used to purchase items to be placed in the box. For a list of suggested items, please see one of the Sunday School teachers. We look forward to a year filled with lively discussions and the opportunity to experience God working in our lives. 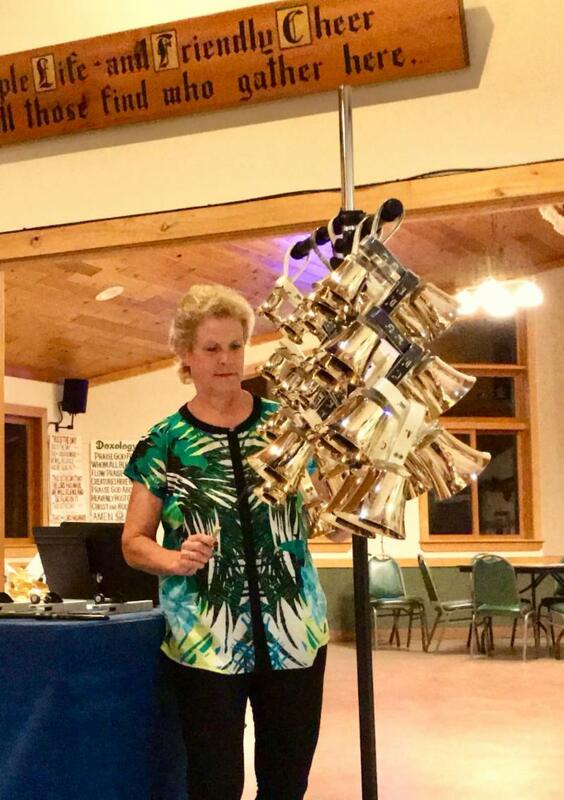 In April, Karen Cmejla rang bells for a surprise birthday party planned by Rev. Jerry Schrankler, for his wife, Helene. In the audience that evening was one of the past organizers for some of the Moon Beach Camp retreats. He approached Karen after the performance, and asked if she would be willing to come to Moon Beach and ring for the “Over 60’s Camp” retreat. So, on Wednesday, September 19, Karen lugged all the equipment up to Moon Beach and performed 11 solo songs with Helene Schrankler as her accompanist spreading God’s music to the extended UCC community promoting Ebenezer Brass. It was an absolute wonderful time had by all, despite the cloudy and rainy weather. One other thing she witnessed is that there were NO mosquitoes and lots of deer in the camp area! A wonderful two days of solemness in the north woods! The meeting of the Ebenezer Church Council was called to order at 8:00 a.m. by Kelly Brown. Present: Kelly Brown, Colleen Marx, Kari Meyers, Pastor Mike, Dale Hintz, and Jamie Plate. Absent: Andy Hofmeister and Vern Gasch. Approval of Minutes: The August 2018 meeting minutes were previously approved via email. Our August revenue was $10,736.01. Our August expenditures were $9,428.71. The Equity as of August 31 was $87,321.41. Our balance as of August 31 was $286,799.99. Our stocks went up to $34,957.79. Kari Meyers made a motion to accept August financial report Dale Hintz seconded. The motion carried. Kari Meyers made a motion to accept the September bill list. Colleen Marx seconded. The motion carried. Attendance each Sunday is an average of 73 people. Giving is an average of $1,850.00 weekly. 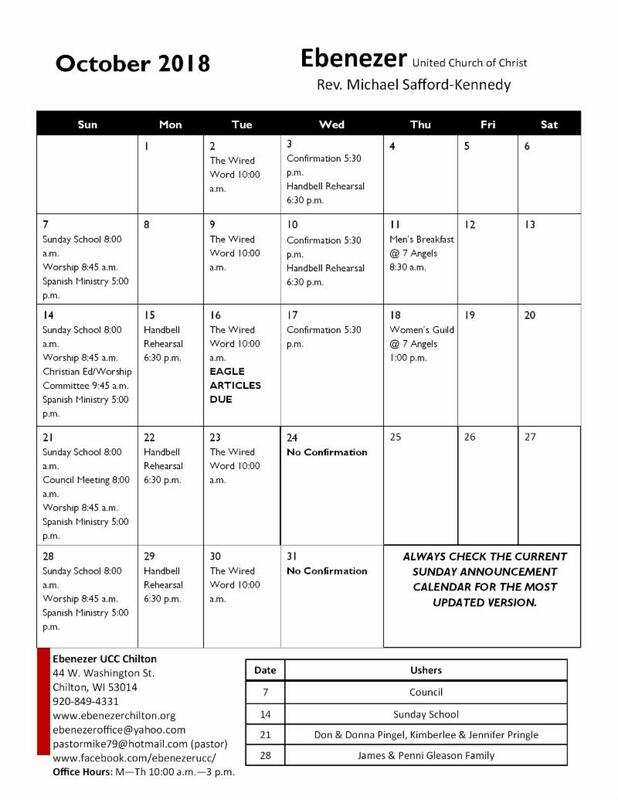 All confirmation classes are on Wednesday nights. The Wired Word is on Tuesday mornings. Video Bible study starts on October 4 and will be Thursday nights. Christian Education and Music: Sunday School first day September 16 at 8 a.m.
Evangelism: Meeting will be the 4th Sunday. Mission: Rummage sale will be in March of 2019. Cookie Walk is scheduled for December 8 with drop off December 6 during church office hours. Considering a mission project to support victims of Hurricane Florence through donations to the Red Cross. Happy Hour Update: New updated lease was signed. 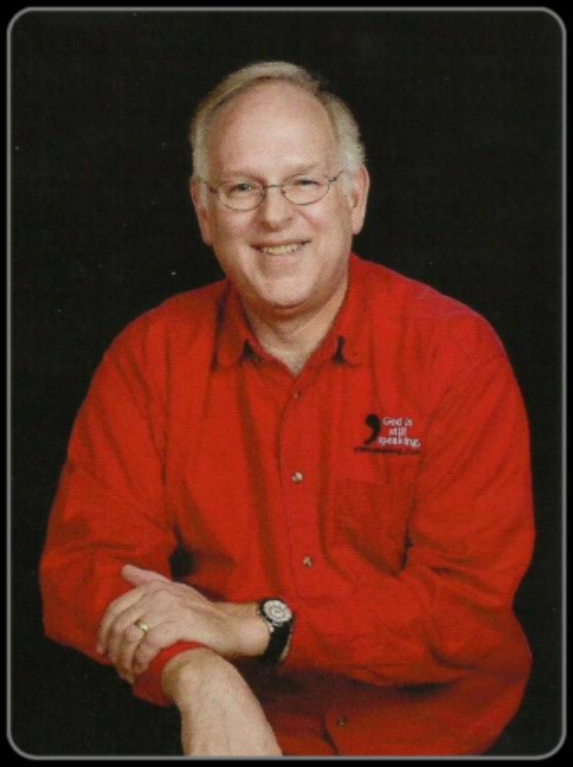 Worship Service Recordings: Jamie Plate will be taking a recording and reviewing. If adequate, then will then have recording available for pick up in office for families who desire. Church painting: Approved of the estimate for the painting of the church of $2,175.00 by Larry and Cathy Seipel. They will plan on painting in November. Coffee hour on Sundays after church. Please limit to one item. Thank you to Edith Knoespel for donating the church landscaping. Adjournment: Kari Meyers made the motion to adjourn the meeting. Dale Hintz seconded. 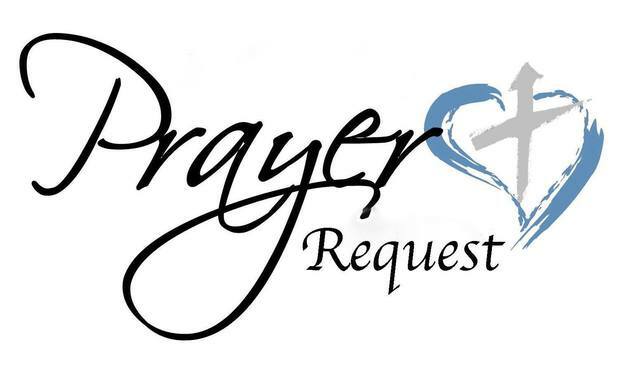 Meeting was adjourned at 8:45 a.m.
Are you interested in giving input for the worship services, or suggestions for the Sunday School and youth program? If so, please feel free to speak to Shirley Lisowe or Elaine Hessil about serving on the Christian Ed/Worship committee. They usually meet twice per year and can offer stimulating ideas – please consider this opportunity to invigorate Ebenezer! The annual Rural Arts Road Show Brat Fry Fundraiser is coming up soon again on October 12 and 13. 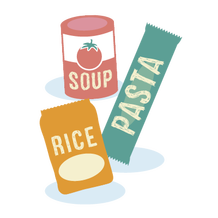 A sign-up sheet will be placed on the table in the Narthex for volunteers to help set-up, cook, serve, and take down. Also, any donations ahead of time would be greatly appreciated toward the purchase of food and supplies. All profits made from this stay within the church and any member of a certain committee who helps out with this fundraiser will get a portion of the profits made. Thank you so much for this worthwhile cause we do for the different organizations of our church. Handbell Practice: Wednesdays at 6:30 p.m. (please note that beginning October 15, the bells will be meeting on Monday evenings at 6:30 p.m.) Anyone is welcome to join; contact Jill Sippel at 920-418-1534 with questions! The Evangelism Committee will meet the 4th Sunday of the month beginning on October 28 at 8:00 a.m. to discuss new ideas and continue with the great work that has been done. We are always looking for new members so please join us! The Wired Word meets on Tuesdays at EUCC at 10:00 a.m. Confirmation Class meets on Wednesdays at 5:30 p.m.
Ebenezer, St. John UCC and St. Paul’s UCC are working together to support Dr. Cheryl Roers, OD’s “Medical Mission to Haiti." Consider donating eyeware in the basket on the Narthex table. For details, see the filer on the board. Sunday, October 7, will be the Neighbors in Need Offering. Cards will be placed in the pews on September 30, and in the bulletins on October 7. You are invited to the Installation of Rev. Lynn Martin on Sunday, October 7, at Immanuel UCC in Kaukauna at 3:00 p.m. Refreshments will be available.